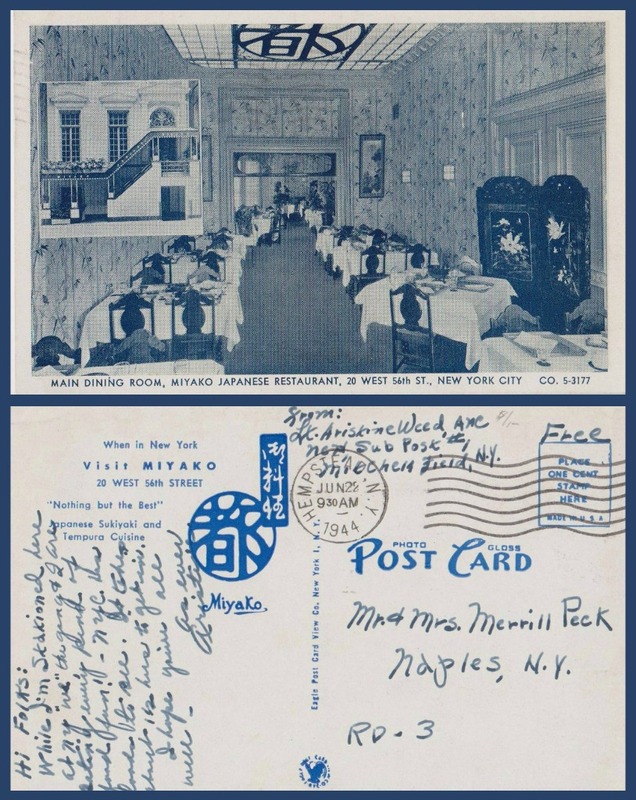 Description: When in New York visit MIYAKO, 20 West 56th Street. “Nothing but the best.” Japanese Sukiyaki and Tempura cuisine. * Mitchell Air Force base was located in Hempstead, Long Island from 1918-1961. Having researched the lieutenant, he heralded from Naples, Florida and was still alive in 1945 in the Army Air Corps.